MY NAME IS MISSY LYNN AKA IMMORTAL DREAMS AND I AM 33 YEARS OLD AND LIVE IN SOUTHERN CALI WITH MY FAMILY. I HAVE BEEN SCRAPPING FOR OVER A YEAR NOW AND I TOTALLY LOVE IT! I HAVE MET SO MANY WONDERFUL FRIENDS ALONG THE WAY AS WELL. I HOPE TO GET OUT LOTS MORE GOODIES FOR YOU ALL SO KEEP CHECKING IN TO SEE WHATS NEW. 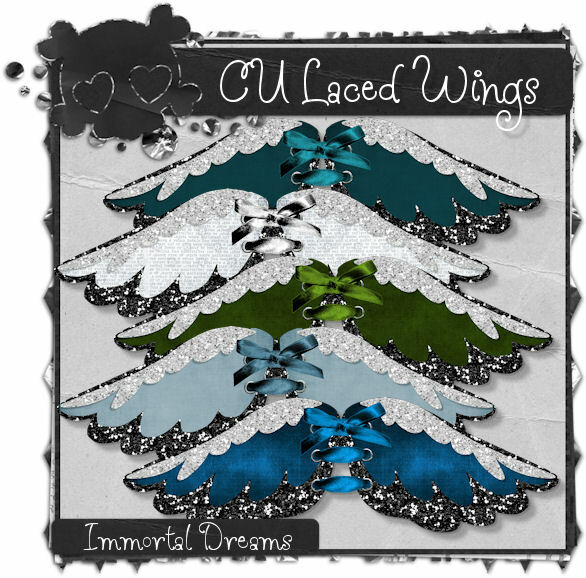 These are New CU Laced Wings and they can be purchased at any of my Stores..Just click on any of the Blinkies under stores I sell at and it will take you there. 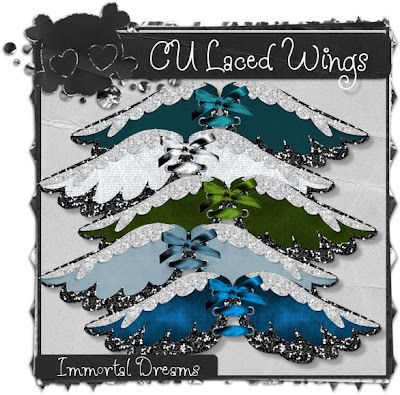 Blog Designed using elements from various kits by Immortal Dreams! THANK YOU TO SOPHISICATED SCRAPS FOR HER COOKIE DOLL.